Wow!! I apologize to anyone that's reading this!! (not that I think that anyone is!! ;) ) I can't believe that this much time has passed since I posted!! YIKES!! I've been super busy getting stuff together for The Scrap Spot. So much is happening and I'm SUPER excited!! This year is going to be great! I sold my part of Coordinates Collections and now I'm focusing totally on videos for TSS. It's been really hard managing my time with little kids and trying to meet so many deadlines for CC. I just didn't feel like I could dedicate the time to it that it required anymore. It was a hard decision, but now I'm totally excited for the new possibilities out there. So what's the big secret??? Who's coming to TSS?? TERESA COLLINS!!!! She is creating an exclusive video for TSS to debut her new product coming out at CHA!!! WOW~~ she is SO amazing!! I just LOVE her!! The video should debut in about a week and a half, and it will be a totally FREE mini class. 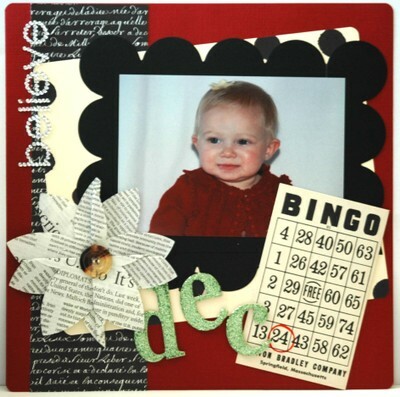 Watch her teach us how to make a darling layout using her new product. SO great!! If you've never gotten to take a class from her, she is so fun! You're going to love it.